At 2Hopkins, you’ll find pet-friendly downtown Baltimore apartments where your pet can live as elevated as you do. At 2Hopkins downtown Baltimore apartments, we’ve filled our community with multiple levels of comforts and amenities. And we didn’t forget about your best friend. When you live here, you’ll enjoy the finest pet-friendly apartments in downtown Baltimore. 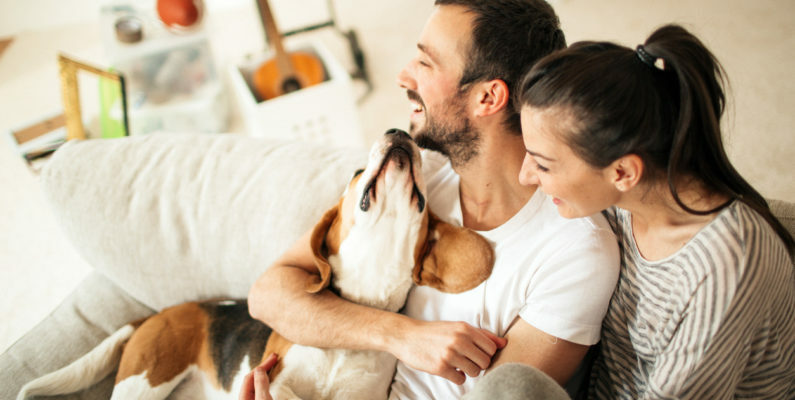 Not only is your cat or dog fully welcome, we provide multiple amenities and services to make their lives as exceptional as your own. Feel like pampering your pet? Simply contact our hotel-style concierge and schedule a pet-grooming session. Or, you can head to our residents-only pet spa, where you’ll find everything you need to bathe and groom your pet. If you’ll be living with your dog, you won’t have to worry about fitting in exercise. 2Hopkins’ Baltimore apartments sit on one of Charles Center’s most inviting plazas, which gives you a great space to walk your dog right outside your front door. Or, you can take a quick walk down to the waterfront and stroll along the harbor. We even give you options if you would prefer not to leave the building at all. 2Hopkins comes complete with its own dog walk, with separate spaces for small and larger dogs. It’s just one of the many thoughtful amenities we’ve included at 2Hopkins. Your best friend deserves a life as great as your own. And you’ll both love the life you’ll find at our downtown Baltimore apartments.